While British residents were fast asleep last night, Toei Company held a press conference to reveal the cast for Kishiryu Sentai Ryusoulger! 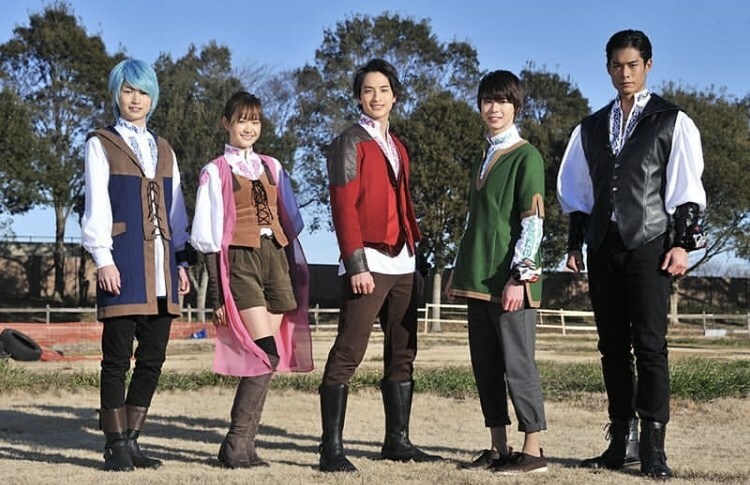 The 43rd entry in the long running Super Sentai series will be Kishiryu Sentai Ryusoulger, also the fourth team to use a dinosaur theme but with knight based motif added to the mix. As we previously reported, the series is being written by Yamaoka Junpei, who is a new writer for the tokusatsu universe, and is directed by Kamihoriuchi Kazuya, who previously directed Kamen Rider Build the Movie: Be the One. This will be Kazuya’s first time as chief director on a Super Sentai series as well as on a series in general. Serving as chief producer will be Maruyama Shinya, who is a noted producer for various J-Drama shows and served as an assistant producer for shows including: B-Robo Kabutak, Moero!! Robocon, and Pretty Guardian Sailor Moon. The main story focuses on an ancient alien race called the Druidon, who left the planet after the meteor that destroyed the dinosaurs came to Earth. The Ryusoul tribe left their powers in the care of a group of chosen warriors, giving them the ability to defend the world when the Druidon race returned to Earth to conquer, or destroy, the planet. The catchphrase for the series will be a Portuguese phrase “que bom” roughly translating as “something that’s really great”. Ichinose Hayate as Kou, RyusoulRed: A genius who is completely focused on training. Tsuna Keito as Melt, RyusoulBlue: A warrior with a hunger for knowledge. Obara Yuito as Towa, RyusoulGreen: A warrior who refuses to let anyone defeat him. Kishida Tatsuya as Banba, RyusoulBlack: Towa’s older brother; the silent type. Osaki Ichika as Asuna, RyusoulPink: Asuna is from a noble family and has exceptional power. As well as Mana Kinjo, who stars as Naohisa’s daughter, YouTuber Tatsui Ui. In a homage to Kyoryuger, Kou will have a dinosaur partner, Tyramigo. He will be voiced by Terasoma Masaki, whose previous voice roles include Shadow Moon (Kamen Rider Black) and Kintaros (Kamen Rider Den-O). Kishiryu Sentai Ryusoulger begins March 17th, 2019. What do you guys think of the announced cast? Are you excited for the series? Let us know on our social media pages!